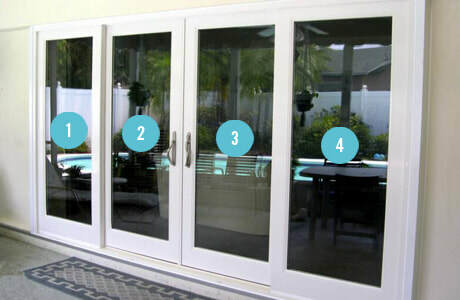 This image showcases two static and two sliding doors. 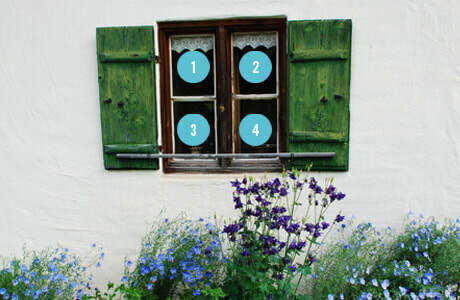 The windows in this image features four individual windows. The two windows at the top are static and the two below slide up and down. 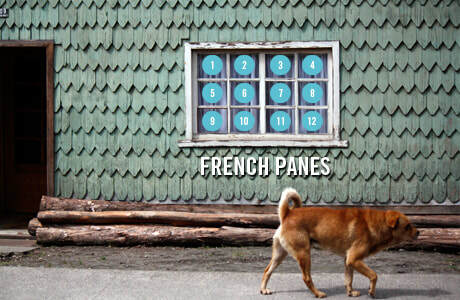 Please let us know if you have French pane windows. Pricing for these differs from standard pricing. Please remove any items from window sills, tables, or other areas that we will be working around. If you need help moving furniture we would be glad to assist. If you have any locks on your backyard gates, please unlock these for easy access. To ensure our cleaners safety, please keep your pets with you or in a safe designated area during our visit to your home.